Tifway (Tifton 419) Bermuda is an improved hybrid Bermuda. Tifway has a fine textur and is very dense. It has a dark green color. It is used for parks, fairways, athletic fields and for commercial and residential landscaping. 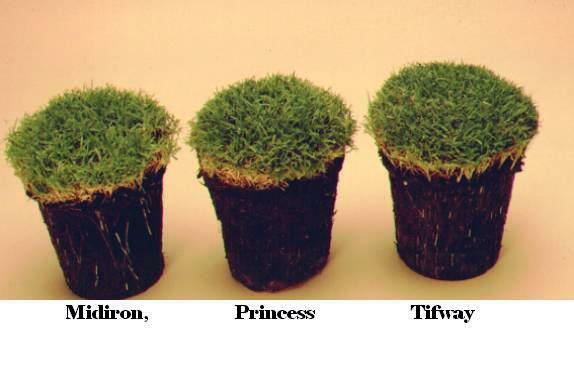 Tifway is drought and heat tolerant but requires sufficient sunlight. Establishment and Maintenance: It thrives on sunlight and heat provided it has moisture and nutrients. 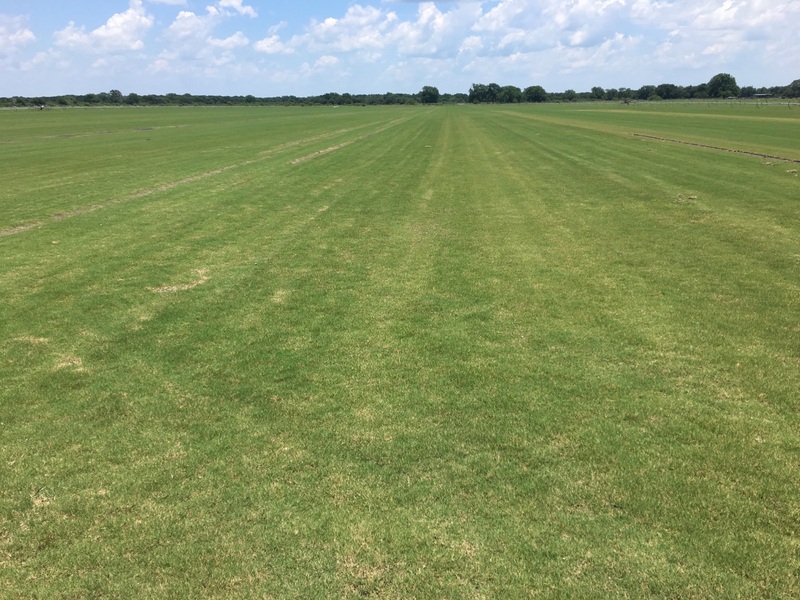 Tifway tolerates heavy traffic and recovers quickly compare to St. Augustine grass. It is best to mow the grass keeping it about 1/2-3/4 inches high. It is recommended to mow it 2 times per week during the active growth and remove no more than 1/3 of the leaf per mowing. 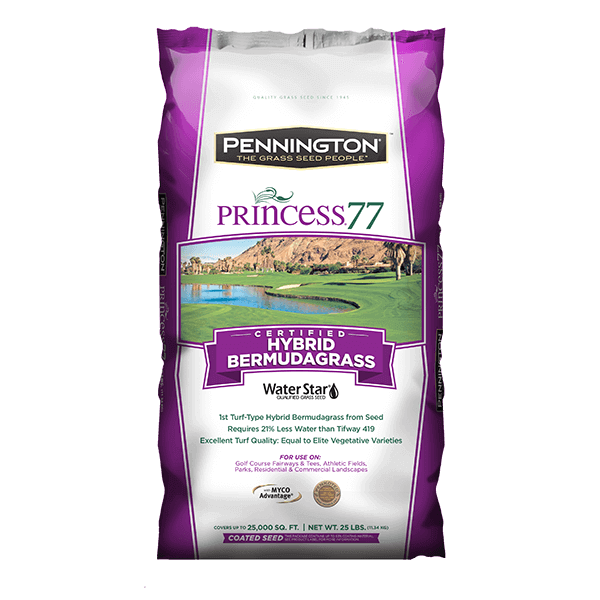 is a typical fertilizer used to restore the nitrogen depletion during the mowing process. Winterizing fertilizer is a recommended.